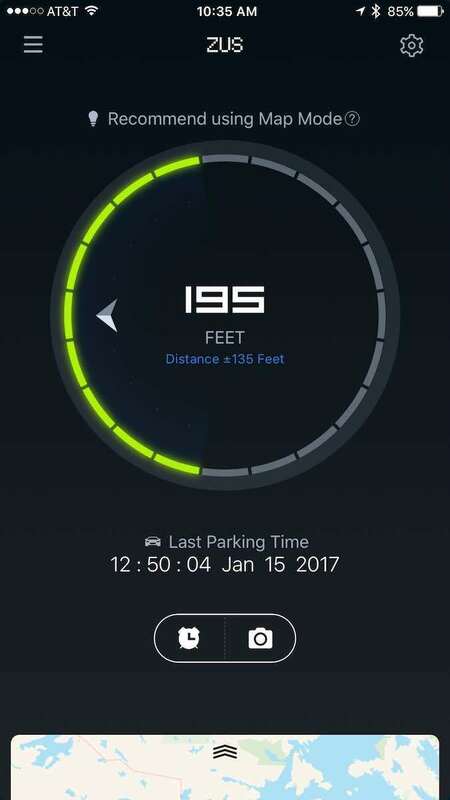 Zus Smart Car Charger combines lightning-fast charging for up to two devices at once with convenient, connected features that help save money on parking tickets and more. Most car chargers exist for one purpose: To power mobile devices from a 12-volt accessory port (formerly known as the cigarette lighter jack before manufacturers yanked ashtrays from cars in the ‘90s). There are thousands of models available, many priced well under $10. The secret to Zus is Bluetooth support and a free mobile app offering several handy connected services in tandem with the hardware. 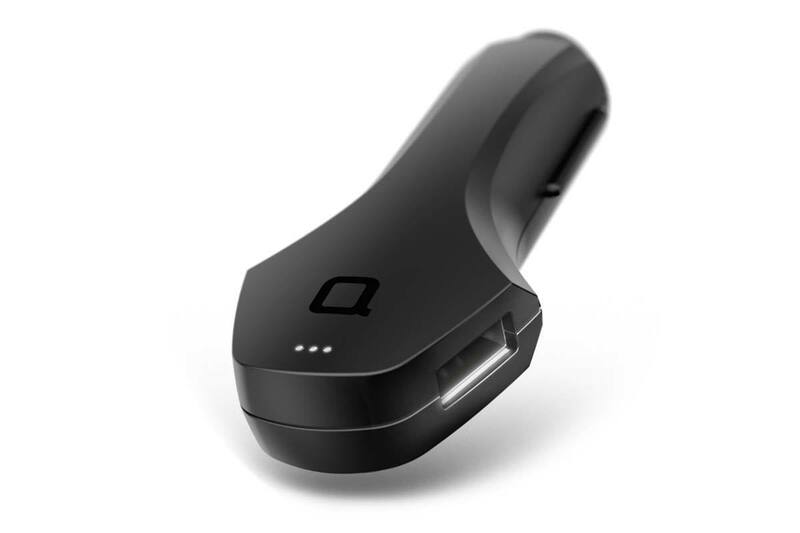 The Zus Smart Car Charger ($30; available on Amazon) is priced three times higher than competing products, but stands out with its distinctive, German-engineered design. While average “smart” chargers only power devices faster, Zus not only charges a pair of iPhones in under two hours, but includes Bluetooth support and a mobile app for a truly connected experience. Weighing less than an ounce, Zus is constructed from military-grade plastic made to withstand high temperatures. 3.3 inches long, 0.68 inches thick, and 1.44 inches wide at the base, Zus has a smaller form factor than other chargers I’ve owned, with titanium coating on the metal tip and prongs for a premium look and feel. It’s also longer, which may get in the way on certain vehicles. Forgot where you parked the car? Open the Zus app and follow the arrow so you’ll never have to wander around another parking lot. I wasn’t thrilled about the placement of the dual USB ports on each side of the base. In my Ford Explorer, I had to turn Zus at a slight angle to give the cables enough clearance. On the plus side, the ports are reversible — plug them in either way! — as well as backlit, making them easier to find in the dark. Although Zus isn’t as connected as devices like Automatic, the app offers several smart features worth the extra dough. Whenever the car shuts off, Zus saves your current location, sending an optional Parking Meter Alert reminder. You can set up “do not disturb” zones for places where push notifications aren’t necessary, like at home. Since Zus remembers where you parked, Car Finder makes locating the vehicle as easy as opening the app and following an on-screen arrow. This feature didn’t work well in parking garages, but Zus conveniently prompts drivers to take a photo of the surrounding area as a backup. 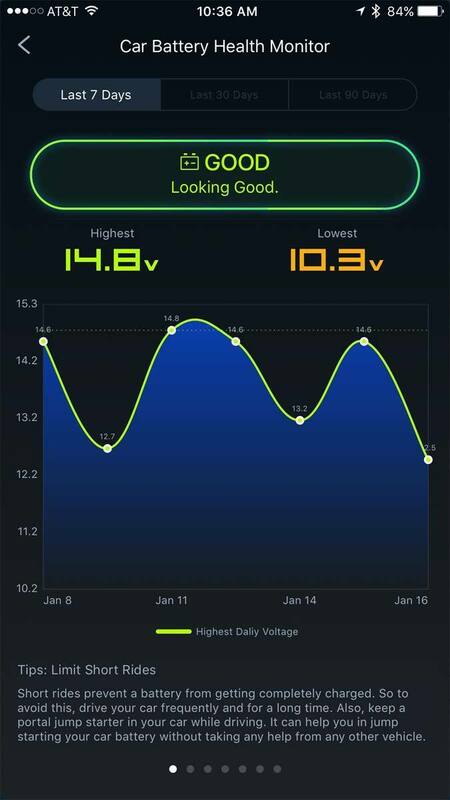 Take the mystery out of your car’s battery with the Zus app’s Car Battery Health Monitor. 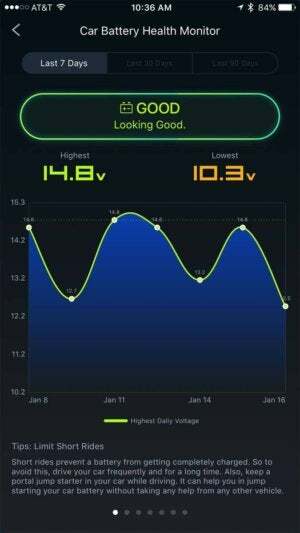 Car Battery Health Monitor displays activity for the last seven, 30, or 90 days, notifying drivers when performance falls below optimal levels. There’s also a Family Share feature so loved ones can find their way back, but it’s a bit redundant with Find My Friends. Pairing with the free mobile app was a snap, although you will need to create an account or log in with Facebook before doing so. 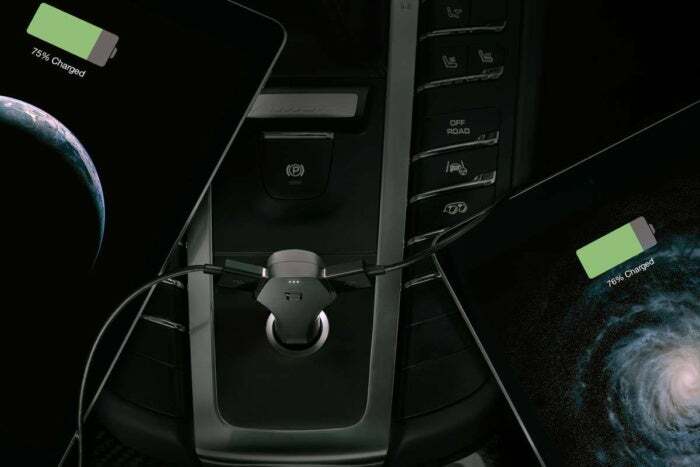 Zus Smart Car Charger brings intelligence to the cigarette lighter jack, adding convenience worth the extra money, provided you have space in your vehicle.